This festival is observed on The Akshaya Tritiya day in the month of Vaisaka (April). This day according to the belief is most sacred as it is auspicious day for Lord Maha Vishnu. Even a small gift presented or donated on this day is supposed to bring manifold and multiple returns to the donor. On this day the sandal paste applied on the deity is removed and the original form (Nijaroopa Darshan) of the deity is exposed and revealed. 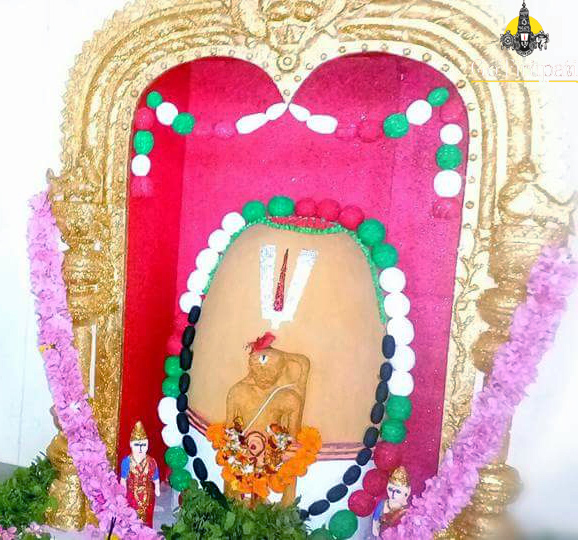 The Nijaroopa Darshan can be seen for 12 hours from dawn to dusk. The removal of the sandal paste is done amidst the resonant chanting of the Vedas and other hymns. The sandal paste is subsequently applied on layers of silk-cloth on the deity and the massive application gives the look of a linga in form and shape. After removal of the sandal paste, Panchamrutha Abhishekam is performed. 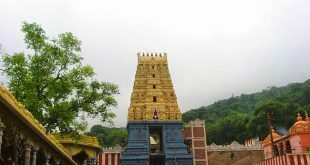 The Naivedyam is not offered when the Nijaroopa (original form) is revealed to view. Instead all the three food-offerings of the day morning, noon and night are offered together in the night. The sandal wood paste required for covering the deity is twelve maunds (layers) which is no small quantity. Thus the process of covering the deity with the application of Sandal is done for three days. The first phase is done on the Narasimha Jayanthi, second phase on the Ashada Suddha Pournima and the last phase on the Suddha Pournima in the month of Jyestha. Simhachalam Chandanotsavam attracts huge crowds from the Andhra Pradesh, Orissa, Karnataka and Tamil Nadu. 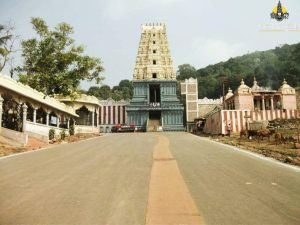 Special tickets Rs.200, Rs.500 and Rs.1000 will be sold for Nijaroopa Darshan. On this special day, Special buses will be running from all parts of the state. A representative from the Government of Andhra Pradesh will be presenting Silk clothes. 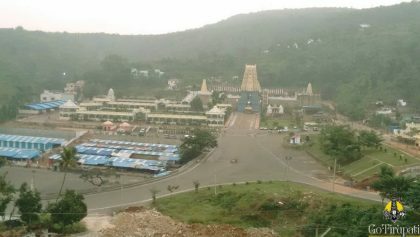 Simhachalam devasthanam free buses will run from Patha Adivivaram, Gosala junction to Temple. Tickets can be purchased in person from counter available at Simchala Hill. 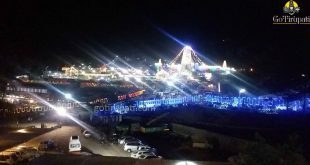 Tickets can also be availed in person from Andhra Bank, State Bank of India, A.P Grameena Vikas Bank, Indian Bank, State Bank of Hyderabad, Axis Bank branches which are located in Visakhapatnam. 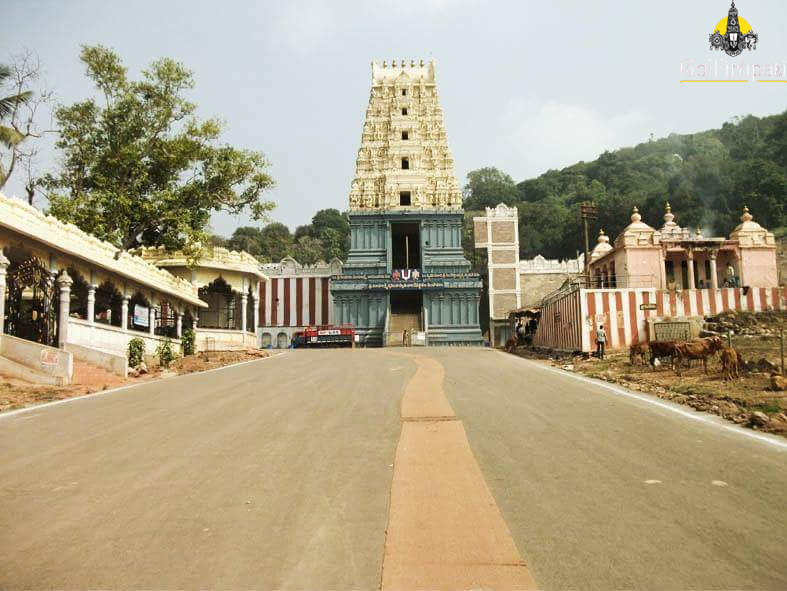 Temple is 19 Km from Visakhapatanam Bus station. Visakhapatanan which is well connected with Road, air and Train. 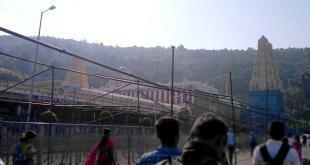 Bus frequency is quite from all parts of Vizag to this temple. Tickets are issued only at the temple counter or at bank counters.